Call center features for small businesses. With Phone Queues from Telzio, you can manage inbound calls more effectively and retain callers while they listen to hold music. 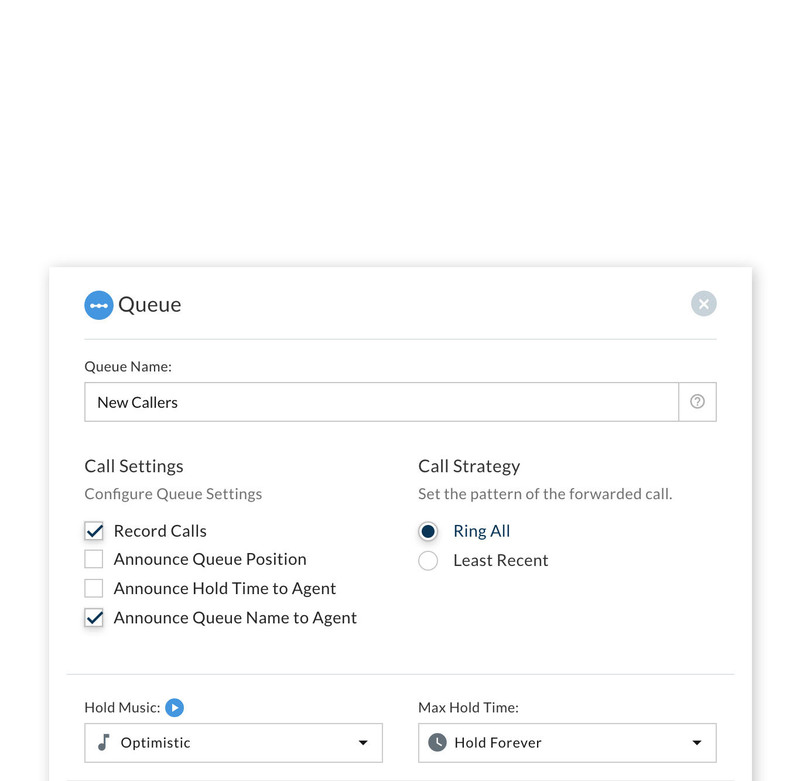 Telzio enables you to set up call queues to manage inbound callers when your agents are busy. Queues place callers on hold until the next agent is available, so you don’t have to send callers to a voicemail or busy tone. Queues let your callers know your business is open and active. What can I do with call queues? Create separate queues and rules for different departments. Automatically route callers to agents in any location. Limit the amount of time callers are hold before re-routing them to another option. Announce the queue name to the agent prior to connecting the caller. 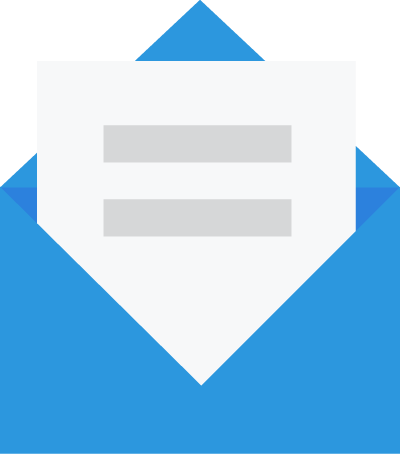 Enable agents to sign in and out of queues as they leave work or go on break. 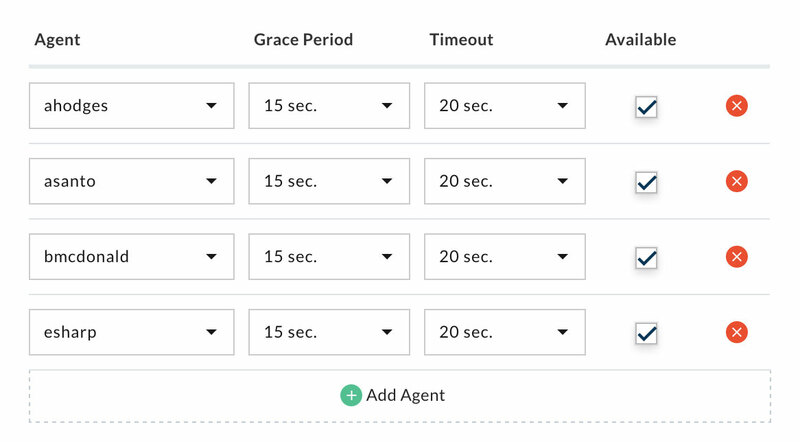 View all your agents that are assigned to queues on your dashboard. Never lose another sales or customer service call. Call queues are useful for managing incoming calls on busy phone lines. For example, an ecommerce business might experience spikes in sales calls throughout the day. With a fixed number of phone agents, a call queue can help manage calls during those peaks so potential customers aren’t lost. Let’s say you have a team of agents and all of them are on the phone. The next caller to come in will hear your greeting and hold music, then automatically be connected to the first agent to become available. You can announce the caller’s position in the queue, and set a maximum hold time to mitigate the caller’s wait time. You can also name your queues by department, such as “US sales”, so your agents know where the call is coming from. How many agents can I add to a queue? You can add an unlimited number of agents to a queue. How many queues can I add? You can add an unlimited number of queues to your phone system.